Now includes streaming video, additional tips, advice, and updated resources! 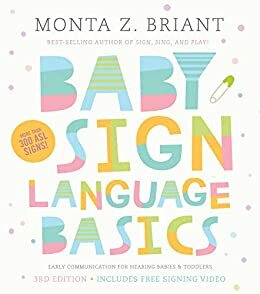 Since 2004, Baby Sign Language Basics has introduced hundreds of thousands of parents and caregivers around the globe to the miracle of signing with their babies &#8212;and left them wanting more! 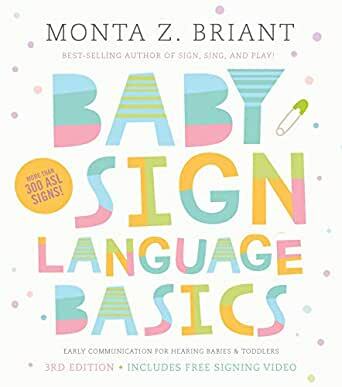 Now, in this newly expanded edition, Monta Z. Briant provides more than 300 American Sign Language (ASL) signs, illustrated with the same clear, easy-to-understand photos and descriptions. Baby-specific signing techniques, songs, and games are also included to make learning fun and to quickly open up two-way communication. Parents will meet real signing families and learn how to make sign language a part of their everyday interactions with their children. Also included is a video signing dictionary featuring all the signs from the book. Just point and click, and see the sign you want to learn come alive! This is a must-have for all parents, grandparents, and anyone else who spends time with preverbal children. After all, what parent or caregiver doesn&rsquo;t want to know what their baby is trying to tell them? Monta Zelinsky Briant is the best-selling author of Sign, Sing, and Play!. She offers Baby Sign Language Basics classes at her Baby Garten Studio in San Diego, CA, as well as signing storytimes at local libraries. For class schedules and other information, please visit: www.babysignlanguagebasics.com.